Shaped like chestnuts, they have the sweetest, brightest of flavours. Now's the time to try Carnival Castagnole with Dolce Fruttato EVO Oil and 100% Italian Sunflower Seed Oil, a delicious yet very light treat! 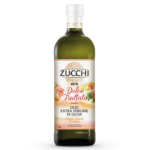 Pour two small glasses of Zucchi Dolce Fruttato EVO Oil into a bowl. Then add the eggs, one at a time, mixing them in with the aid of a whisk, then do the same with the sugar, the grated lemon rind and a pinch of salt. Keep whisking for a few minutes, then add the baking powder and mix in the flour a little at a time, stirring until the mixture is smooth and lump-free. 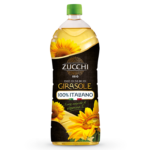 Pour the Zucchi 100% Italian Sunflower Seed Oil into a large frying-pan and heat to the correct temperature. Then create small balls of dough about the size of a chestnut, and place them in the oil. Turn occasionally until golden brown, then drain on kitchen roll to eliminate the excess oil. Then serve with a dusting of icing sugar.